Tata Institute of Fundamental Research (TIFR) [www.tifr.res.in] is the premier research institution in India and is also a deemed university. Its main campus is in Colaba, Mumbai apart from several other centres and field stations spread all over India. 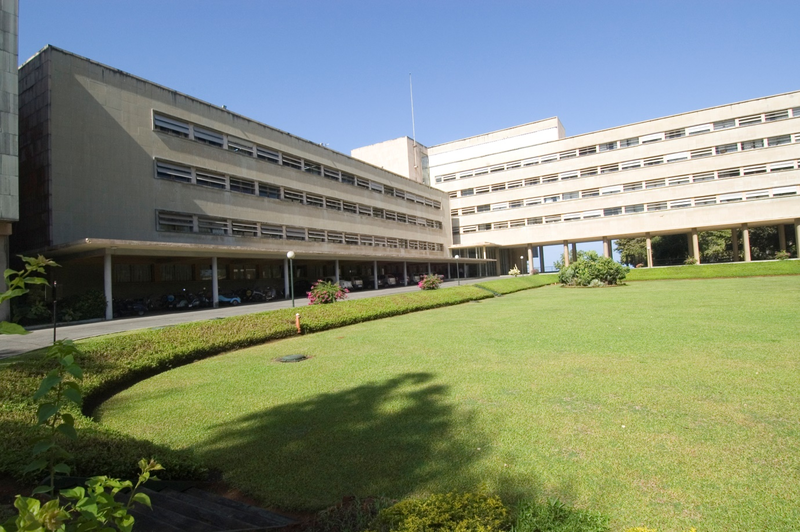 The centres are the National Centre for Radio Astronomy (NCRA) at Pune, National Centre for Molecular Biology (NCBS) at Bangalore, TIFR Centre for Interdisciplinary Sciences (TCIS) at Hyderabad, Homi Bhabha Centre for Science Education (HBCSE) at Mumbai, and Centre for Applicable Mathematics (CAM) and International Centre for Theoretical Sciences (ICTS) at Bangalore. In addition, a second campus of TIFR is being built at Hyderabad. The main campus in Mumbai established in 1946 carries out research in Mathematics, Computer Science, Biology, Chemistry and all areas of Physics including Astronomy and Astrophysics, Cosmology, String Theory and High Energy Physics, Nuclear Physics, Condensed Matter Physics and Atomic and Molecular Physics. TIFR is part of various international collaborations in High Energy Particle Physics, Astronomy and Nuclear Physics. The radio telescope array under NCRA is one of the largest ground based observatories with a very large fraction of observation time being used by Astronomers outside India. The Atomic and Molecular Physics group with nine faculty members is one of the largest such groups in India covering Ion collisions, Electron collisions and Intense laser-matter interactions and has been spawning this activity at various Indian research and teaching institutions like Indian Institutes of Technology and Institutes for Science Education and Research through second generation researchers trained at TIFR. E. Krishnakumar, who is a Senior Professor in the Department of Nuclear and Atomic Physics has been the Indian co-ordinator of the SUP@VAMDC project. As one of the senior most practitioners of Atomic and Molecular Physics in India and past President of the Indian Society of Atomic and Molecular Physics (ISAMP), he is deeply connected with the Atomic and Molecular Physics community in India. He has successfully brought together various providers and users of atomic and molecular data through two meetings and led the Indian community to create an Indian Atomic and Molecular Data base that is linked to the VAMDC. Prof. Lokesh C Tribedi, Dr. Deepankar Misra and Dr. Vaibhav S Prabhudesai from the Department of Nuclear and Atomic Physics and Prof. Sanjay Wategaonkar from the Department of Chemical Sciences are other active contributers to setting up the Indian Atomic and Molecular Data Base.